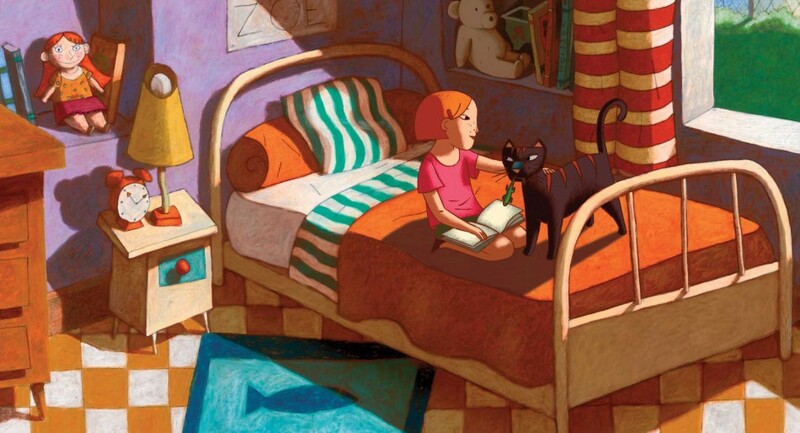 A Cat in Paris is a great animated film for kids ages 8 and up who identify with beautiful drawings, a tight story line, cops and robbers, pets, anxiety, suspense, feeling lost, or feeling found. Check it out at your local library, on Amazon, or on Netflix. The Academy Award nominated A Cat in Paris from directors Jean-Loup Felicioli and Alain Gagnol is a beautifully hand-drawn caper set in the shadow-drenched alleyways of Paris. Dino is a cat that leads a double life. 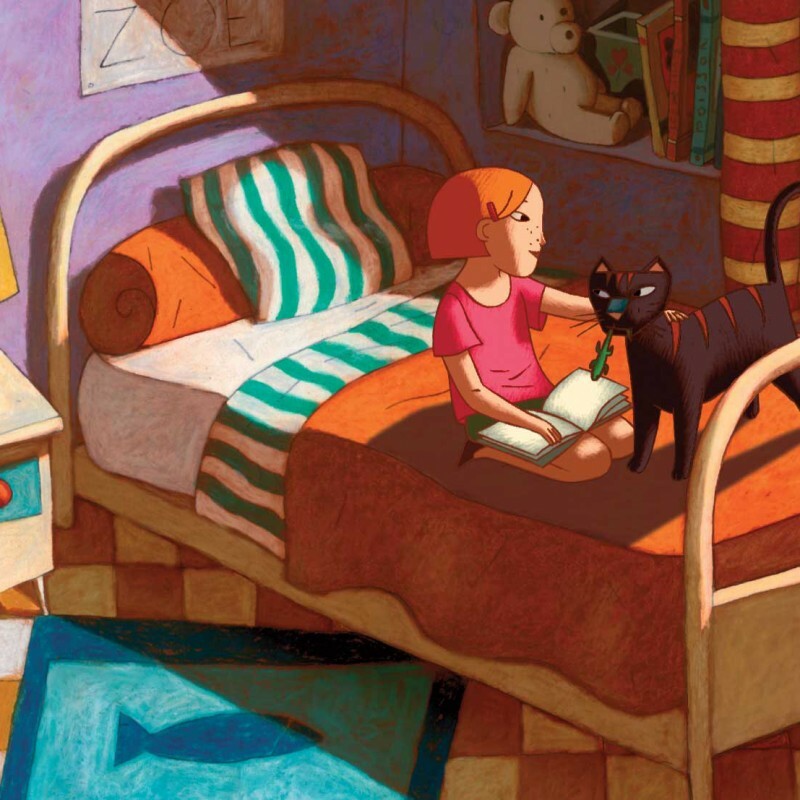 By day he lives with Zoe, a little girl whose mother is a detective in the Parisian police force. But at night Dino sneaks out the window to work with Nico – a slinky cat burglar with a big heart, whose fluid movements are poetry in motion as he evades captors and slips and swishes from rooftop to rooftop across the Paris skyline. 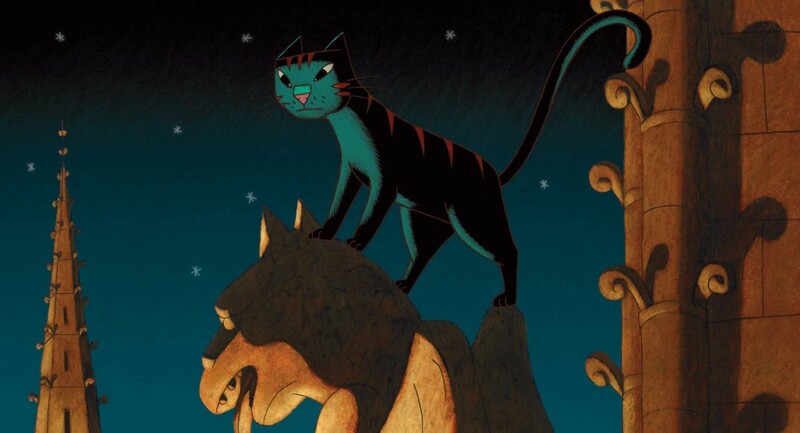 The cat’s two worlds collide when young Zoe decides to follow Dino on his nocturnal adventures – and falls into the hands of Victor Costa, a blustery gangster planning the theft of a rare statue. 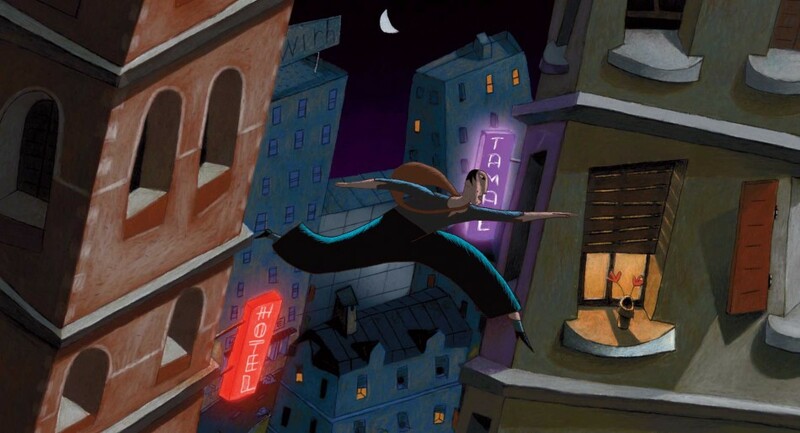 Now cat and cat burglar must team up to save Zoe from the bumbling thieves, leading to a thrilling acrobatic finale on top of Notre Dame. A Cat in Paris is a warm and richly humorous love letter to classic noir and American gangster films, with jazz soundtrack featuring Billie Holiday. 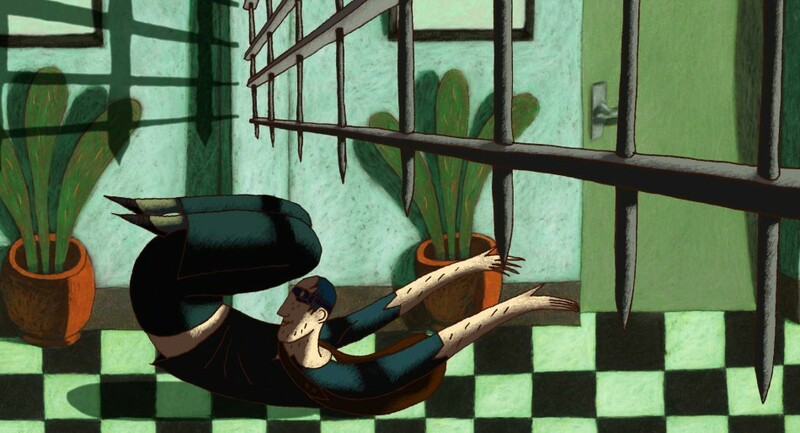 GKIDS is a distributor of award-winning animation for both adult and family audiences. The company has scored three Best Animated Feature Oscar nominations in the past three years, with The Secret of Kells in 2010 and both A Cat in Paris and Chico & Rita in 2012 – marking the first time an independent distributor has had two simultaneous nominations in the category. GKIDS handles North American theatrical distribution for Oscar winner Hayao Miyazaki’s famed Studio Ghibli library of films, one of the world’s most coveted animation collections with titles Spirited Away, My Neighbor Totoro, Princess Mononoke and others. GKIDS is also the producer of New York International Children’s Film Festival, North America’s largest festival of film for children and teens. NYICFF is an Oscar-qualifying event and jury members include Uma Thurman, Susan Sarandon, Gus van Sant, Matthew Modine, Jeffrey Wright, John Canemaker, James Schamus, Michel Ocelot, and Christine Vachon.